Diagnosing eye conditions in pediatric patients may have become slightly easier thanks to recent research from the Baylor Visual Function Testing Center. Their new, non-invasive technology tests for optical diseases by operating like a handheld computed tomography (CT) scanner for the eye. The device accurately performs retinal diagnoses without getting too close to the young patient, who may have difficulty sitting still. Achromatopsia is a somewhat rare genetic condition that may cause an inability to perceive color. The disease also makes it difficult for a patient to attain visual acuity when light levels are high, which has led to the moniker “day blindness.” Historically, diagnosis of this disease has been difficult in young children because the tools used to identify it were made for adults. This challenge was compounded by the fact that children who are three to four years old struggle to sit still, so exams are often substandard. To improve this scenario, researchers from the Baylor Visual Function Testing Center have developed a new diagnostic tool, according to a recent press release from Baylor Scott & White Health. The device is based on spectral-domain coherence tomographic imaging (SD-OCT), and it studies the thickness of the retina, which is important in the diagnosis of achromatopsia. The new approach is non-invasive and is an advance over previous methods that depended largely on family history, patient age, and standard eye exams. 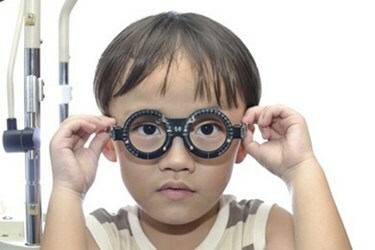 “It has been very difficult to understand the retinal structure of children with achromatopsia because young children are known to be uncooperative during eye examinations designed for the adults,” said Yuquan Wen, Ph.D., the scientific director of the Baylor Visual Function Testing Center, in the press release. To test the new device, the researchers used it on a sample of 18 patients who were about four years old, according to a study published by the team in the Journal of the American Medical Association Ophthalmology. Nine patients that were known to suffer from achromatopsia and nine control patients underwent genetic testing for the disease. They were also tested with the SD-OCT device. Using the results from these studies, along with more traditional diagnostics, the team was able to discover that achromatopsia patients had retinas that were thinner than normal patients. Additionally, the retinal thinning that implicates the disease was less pronounced than the retinal thinning seen in adults. The role of SD-OCT was to provide a high-definition 3D image of the retinal surface, according to the press release. The new method was much easier than traditional methods because it could perform this imaging without getting too close to the patient. More importantly, since the retinal thickness was not as pronounced in younger patients, the researchers believe there may be a chance to treat the disease earlier. Because the disease is genetic, the research team is considering a gene therapy method that may allow the eyes to better develop once the disease has been diagnosed. The retina is a neural structure that is a direct extension of the optic nerves, which makes it a component of the central nervous system. Because of this, it provides a relatively accessible part of the central nervous system, which is buried deep within the body. Using this fact, researchers have also developed retinal scans that may help with the early diagnosis of Alzheimer’s.